Despite its popularity, you can still get away from it all and find your own hidden delights on our relaxed activity holidays in the heart of Provence: romantic tucked-away chateaux, bustling local markets, and Clochemerlesque villages. And nothing compares with the scent of the garrigue, the heady mixture of lavender, wild herbs and wild flowers that covers the hills. Many of our fondest memories are of the simple things: lingering over lunch under shady plane trees, shopping for vividly coloured Provencal arts and crafts, savouring the exquisite panorama from a lonely hilltop. Try on of our carefully crafted activity holidays to make your own discoveries. 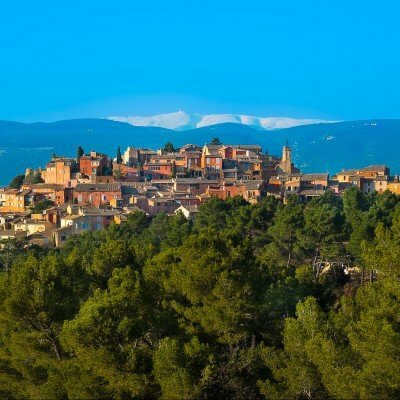 The Vaucluse is characterised by several things but none perhaps as much as the vineyards which cover the patchwork landscape and the ever present shape of Mt Ventoux, 'the Giant of Provence', silent and ever watchful on the horizon. This 4 night short break cycle takes you around the eastern side of the Vaucluse, where you will have ample opportunities to taste the local produce as you venture right up to the foot of the mountain. 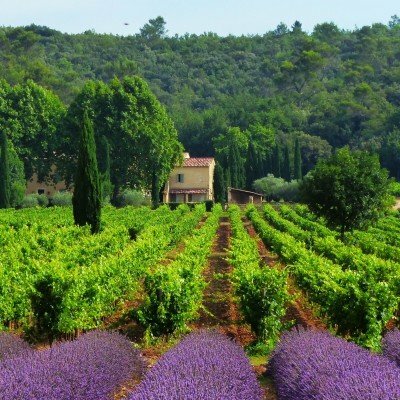 Provence is a place whose natural light and landscapes have served as inspiration to such iconic figures as Van Gogh, Cezanne, Picasso and Dumas (not to mention Peter Mayle! 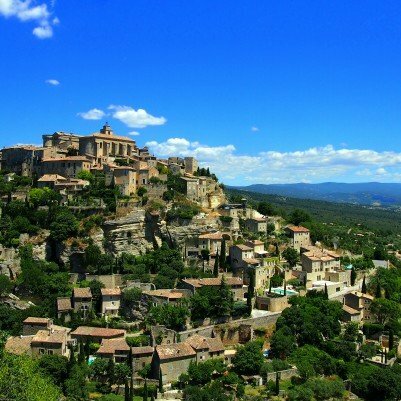 ), and this 4 night holiday has been designed to give you a taste of the famous hilltop villages which dot its breath-taking, lavender-scented Luberon region. Provence is a place whose natural light and landscapes have served as inspiration to such iconic figures as Van Gogh, Cezanne, Picasso and Dumas (not to mention Peter Mayle! 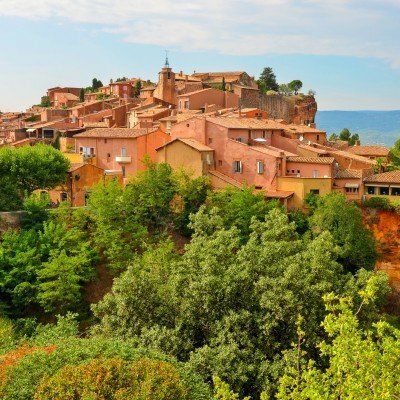 ), and this 6 night holiday has been designed to give you a taste of the famous hilltop villages which dot its breath-taking, lavender-scented Luberon region. 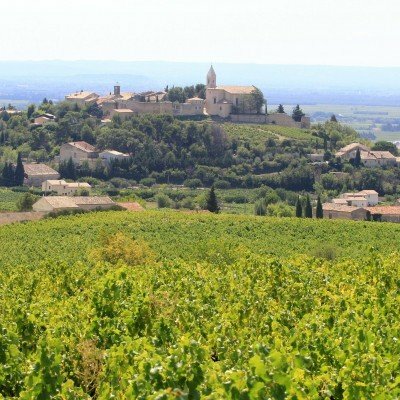 The Vaucluse is characterised by several things but none perhaps as much as the vineyards which cover the patchwork landscape and the ever present shape of Mt Ventoux, 'the Giant of Provence', silent and ever watchful on the horizon. This 6 night cycle takes you around the eastern side of the Vaucluse, where you will have ample opportunities to taste the local produce as you venture right up to the foot of the mountain. 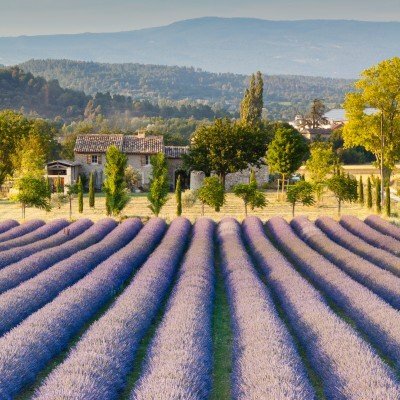 Provence is a place whose natural light and landscapes have served as inspiration to such iconic figures as Van Gogh, Cezanne, Picasso and Dumas (not to mention Peter Mayle! 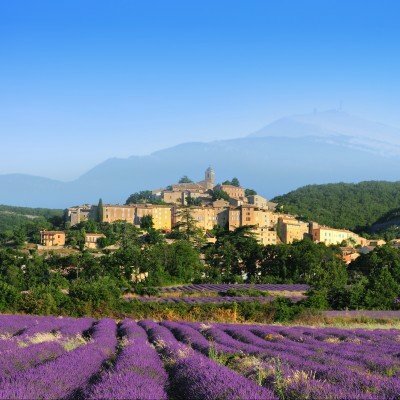 ), and this 7 night holiday has been designed to give you a taste of the famous hilltop villages which dot its breath-taking, lavender-scented Luberon region. For wine-lovers, this 8-night tour circles the famous Cotes de Rhone vineyards, and includes 2 nights in Vaison la Romaine - France's most extensive Roman site with 6000-seat theatre, baths, houses and streets. Swimming pools 6 nights out of 8. The picturesque, perched villages of Provence offer stirring images along with a history which, in some places, stretches back over a thousand years. On this 8 night holiday you'll discover vineyards, olive groves, monasteries, chateaux and caves along with the region's famous Ochre Trail and, of course, the lavender which scents the summer air.